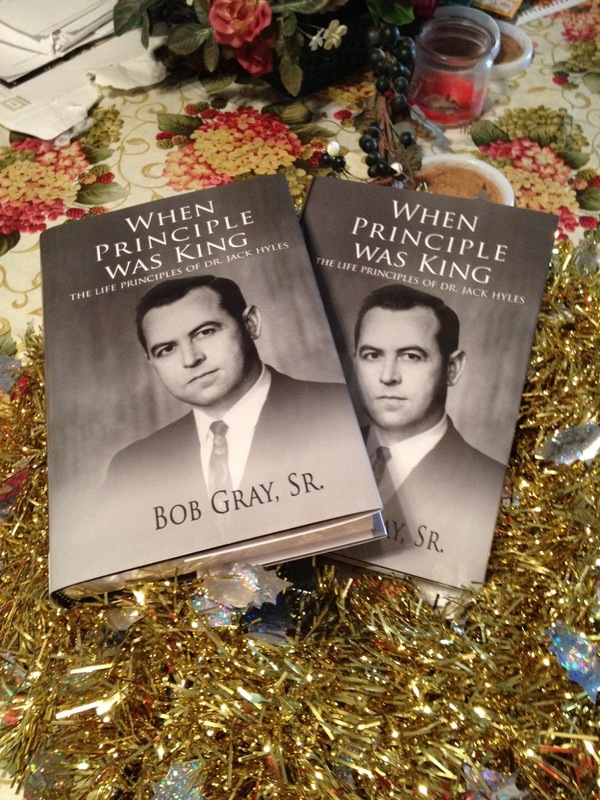 Late yesterday the first two copies of “WHEN PRINCIPLE WAS KING” arrived. 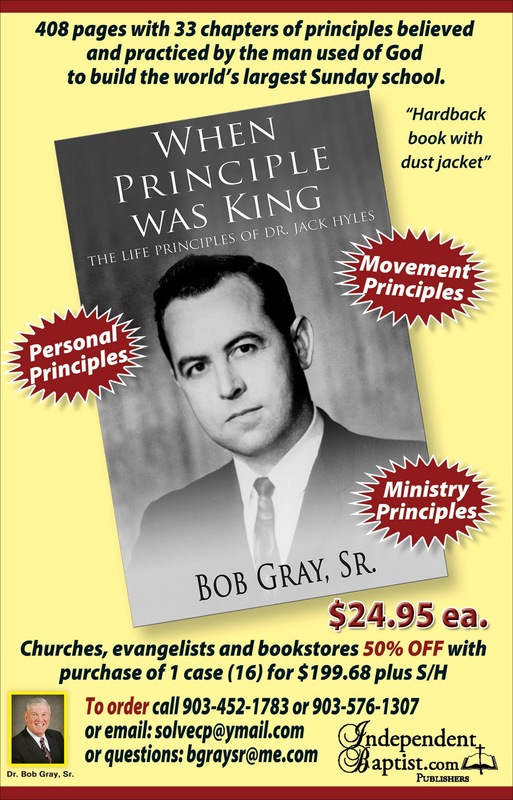 This is a 408 page hardback book with a beautiful dust jacket concerning the life principles of Dr. Jack Hyles. The drop shipping will begin next week to those who took advantage of the 50% off offer for December. The 50% is for those who purchase a case of 16. It still is not too late to order your case of 16 for $ 12.50 per book plus S/H. The book will retail for $ 24.95 after December. This would make a great Christmas gift to those who loved Dr. Hyles’ ministry and especially for any young Bible college student. Pastors would benefit greatly from exposure to these vital Bible principles employed by Dr. Hyles. This great man of God was one of the fathers of the big church movement in America. Unfortunately many have provided misinformation concerning Dr. Hyles and this book will help put us back on track. Call 903-452-1783 or myself at 903-237-9019 to order. Also, you may go to bgraysr@me.com to order. Time is running out please order now! GOTTA LOVE OLD TIME RELIGION!